It's that time of year again. Temperatures are plummeting, highstreets are in a frenzy, mornings are dark and the kids are buzzing with excitement. The run up to Christmas makes December a magical month. But the thought of getting everything sorted for the festive season is enough to make you need a holiday! Perhaps this is the year to try something new? Christmas in the Caribbean or the Canaries? Maybe a pre-Yuletide escape to rejuvenate and soak up the sunshine. Trade 3°C for 23°C and treat yourself to an indulgent escape this winter. Whatever your reason, here's the inside scoop on where's hot in December. For a December to remember, indulge in the tropical climate and turquoise waters of the Dominican Republic. A match made in heaven for couples, soak up the sizzling sun and relax on powder-sand beaches from the comfort of Casa de Campo. A spectacular 7,000 acre resort nestled on the Caribbean coastline with spellbinding ocean views. A real life cocktail blend of leisure and pleasure, the resorts facilities will cater to your every need – from spa treatments to shops and no less than 12 bars and restaurants – you never even have to leave your villa if you don't want! That being said, it would be a crime not to taste some of what the Dominican Republic is dishing up. 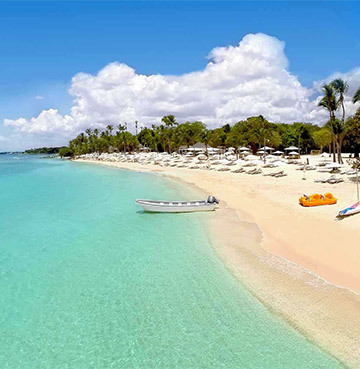 Starting with Punta Cana, arguably one of the country's most famous beach resorts. Whether you're after sun-kissed skin or a wild afternoon of watersports, you'll never get bored of this beautiful area. Hire a boat for the day, explore the underwater coral reef or fuel your thrill-seeking needs on a jet ski. Once you've unleashed your adventurous side, laze on the palm-peppered beaches and indulge in a cocktail or three. A stone's throw away from La Romana and Casa de Campo is the curious little village of Altos de Chavón. A cultural centre for locals, tourists and artists alike, find yourselves drawn in to the magic of this Mediterranean village. Wander the cobbled streets and alleyways, marvel at the gorgeous stonework of St. Stainslaus Church, explore the 5,000-seat ancient looking Roman amphitheatre or simply just admire the meticulous craftsmanship all around you. And of course there's the view! Cameras at the ready for the sweeping vistas over the Chavón River and crystalline Caribbean Sea. Further afield is a fully fledged ecoadventure in the form of Los Haitises National Park. Home to rows of soaring coastal mountains and deep valleys, rainforests, mangrove swamps and caves – it's a natural paradise teeming with luscious vegetation and wildlife. You can explore by foot, kayak or boat. Small-sized speedboats get closer to the mangroves and rock formations, while catamarans visit caves, mangrove channels and nearby islands. If you're lucky you'll even see manatees and dolphins! If you don't fancy making the trip to Los Haitises, Isla Saona is much closer and you'll be able to spy mangroves, coral reefs and starfish filled shallows. 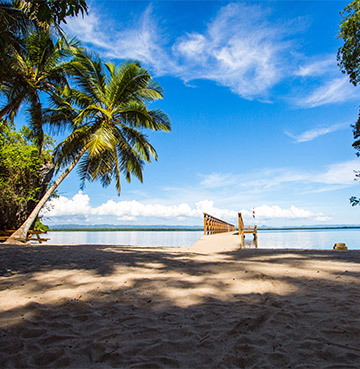 Part of the East National Park it's palm-fringed pristine beaches are second to none! You may think of Florida as a summer holiday destination, but the sunshine state is a great all-rounder. December arrives in the dry season where you can expect average temperatures of 20°C, plenty of sunshine hours and little to no rain. The sea is still welcomingly warm too, so a beach day is most definitely on the cards! 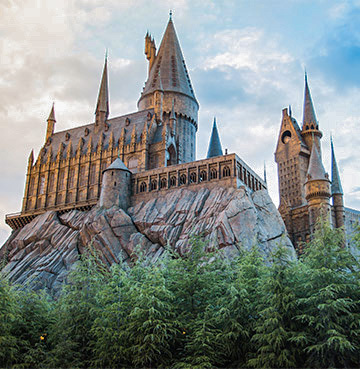 Renowned for its world class entertainment and theme parks, there's no shortage of things to do in outstanding Orlando. From adrenaline-pumping rollercoasters to iconic national parks, strap in and get ready for an unforgettable holiday whirlwind. It goes without saying that no trip to Orlando would be complete without a visit to see the mouse himself. Walt Disney World Resort in December might just be even more spectacular than usual – with decorations, fun parades and seasonal themed events galore! Mickey's Very Merry Christmas Party at Magic Kingdom is packed with enchanting holiday entertainment, treats, greets and more. Epcot® hosts a spirited celebration of joyful traditions from 11 World Showcase nations. An international yuletide extravaganza, discover a festival like no other and prepare to be surrounded by wondrous sights, sounds and flavours of the season as celebrated by cultures near and far. Combine the most magical time of year with the most magical place on earth and you're a shoo-in for a December getaway like no other! Not to be outdone, Universal isn't running short on magic. Hogsmeade™ and Diagon Alley™ at The Wizarding World of Harry Potter™ are wrapped up with festive décor, garlands and beautiful lighting. A live retelling of Dr. Seuss's classic holiday tale starring The Grinch in The Grinchmas™ is also guaranteed family-fun. An escape within an escape, Orlando's theme parks transport you to wonderful new worlds and set those imaginations soaring! Away from the bright lights and buzz of the obvious attractions there's bucket list moments waiting in the wings. Two Floridian classics include the awe-inspiring Kennedy Space Center Visitor Complex and the one-of-a-kind Everglades National Park. 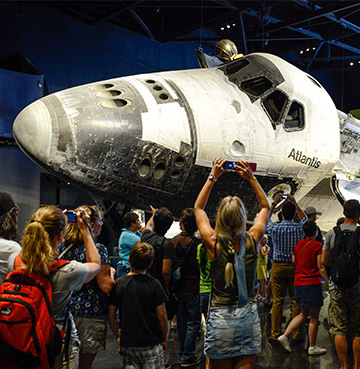 Spend the day touring the famous NASA facilities, training like an astronaut and getting up close and personal with Space Shuttle Atlantis. From rockets to watery wilderness, the winter season is the best time to visit the Everglades. Wildlife is at its most visible and diverse and the bugs and humidity are virtually non-existent. A different kind of thrill, take an airboat tour and see alligators up close and personal! Once you're back on (relatively) dry land, walk the Anhinga Trail. A short 1200m round trip where you'll see alligators, turtles, anhingas and many other birds. When it comes to unforgettable memories, breathtaking moments, sparkles, nostalgia and fantasy – Orlando has it all! It's the most wonderful time of the year… to escape the cold climes! If you fancy a different kind of December look no further than Lanzarote. A four hour flight will deliver you to sun rays and delightful days as warm as 24°C. Swap out those scarves for swimwear, sit-back, relax and wonder why you've never done this before! This Canary treasure is jam-packed with things to do year-round. Perfect for both nature lovers and beach babies alike, or just some lazy days splashing around in your very own private pool. 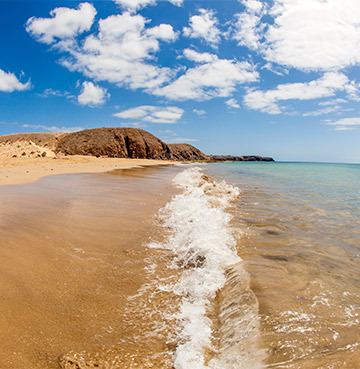 December in Lanzarote is your ticket to a slice of winter sunshine. 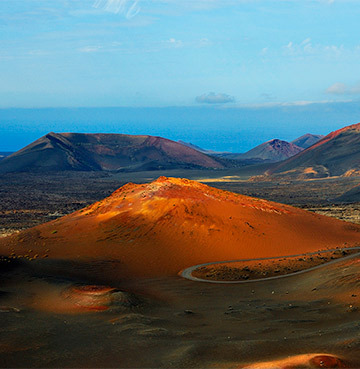 Timanfaya National Park is not to be missed, with an out-of-this-world lunar landscape full of lava formations, black sands and multi-coloured mountains. Unbelievably the magma here is still active just a few metres below the surface and special demonstrations are held at the top of the dormant volcano – including a barbecue with a twist! After all, how often do you get to have your burger cooked à la magma?! (An Instagram worthy food picture if ever there were one). The park can be explored by coach, foot or even camel, and is well worth a full day of adventuring to make the most of this magnificent place. There's no better time to get outside and enjoy what nature has to offer than in the winter months. Conditions are idyllic for hiking, cycling and watersports – the only question is how you're going to fit it all in! Sun worshippers can bask on beautiful beaches in Lanzarote year-round. With countless bays to set up camp, you can choose between the hustle and bustle of a vibrant resort, or the peace and quiet of a secluded cove. Playa Blanca is a southern stunner with a relaxing atmosphere – perfect for the whole family to swim, splash and relax. Nearby Papagayo is also known as one of the best beaches on the island and is perfect for young children. A holiday wouldn't be the same without a spot of shopping, and Lanzarote's got you covered when it comes to retail therapy. Whether you're after a little something for yourself, or hoping to bag some unique Christmas presents for your loved ones back home – there's no shortage of shops, boutiques and markets across the island. Many of the main resorts house large malls where you'll find your favourite retail chains tax-free. Playa Blanca, Costa Teguise and Playa Honda are all popular hotspots. Happy hunting!